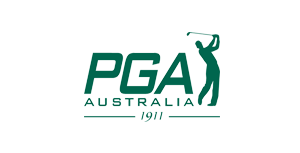 The Professional Golfers Association of Australia was founded in 1911, making it the second oldest PGA in the world. This time-honored organization set itself the task of promoting the game of golf professionally, as well as improving the professional standards of the sport. The PGA of Australia, which is based in Sandhurst, Melbourne, boasts more than 2,500 members, and organizes more than 430 golf tournaments every year. This includes the famous ‘PGA Tour of Australasia’ tournament series. Many successful and world-renowned golfers such as Kel Nagle, Adam Scott, Jack Newton, and Greg Norman started out in these tournaments. The PGA of Australia is making the most of practically all the legal, economic, and technical advantages provided by email archiving. These advantages include compliance with legal requirements, protection against data loss, removal of mailbox storage quotas, simplification of backup and restore processes, and a fast email search. The special feature: The PGA of Australia was already using a cloud-based email archiving solution provided by Symantec, but wanted to replace it with an on-premise solution. Ashley Hunt, Systems Coordinator at PGA, discovered MailStore Server following a web search for suitable alternatives. He began an evaluation of the solution by installing the free 30-day trial version. It became clear after just two weeks that they would be using MailStore Server for future email archiving and decided to transfer to live use immediately. Looking back, Ashley Hunt describes this extremely short test phase as completely uncomplicated. The ‘excellent’ documentation was enough to go ahead with implementation; there was no need to contact MailStore technical support. 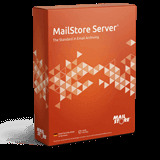 It was not only the smooth test phase and the convincing technical features that made a strong case for MailStore Server. In the end, the inexpensive acquisition costs, reduced even more thanks to a competitive upgrade, also contributed to the decision to implement the solution. MailStore Server was put into productive operation in March 2013 when the archive was set up with Microsoft Exchange Server 2007. Since MailStore Server emails are always allocated to their recipients, users were initially created within the archive using a synchronization with the Active Directory. The PGA opted for a two-pronged strategy in selecting the archiving method. All emails sent and received within the organization are archived entirely using the ‘journal’ mailbox, even if users want to delete them from their mailboxes at a later date. This is an important requirement when it comes to compliance with legal guidelines. Additional mailboxes will also be archived straight away. It is possible to define deletion rules using this method of archiving, whereby emails are deleted from mailboxes according to a rule-based process, thus keeping the data load of the mail server to a minimum. This is how the PGA of Australia was able to overcome the inconvenient problem of imposing mailbox storage quotas on its users. Combining the archiving methods actually doubles the amount of emails. However, this doesn’t have any negative effect in practice, thanks to the MailStore Server’s single-instance technology. It only files identical objects within the archive once. Besides archiving the exchange server, the PGA uses MailStore Server for archiving PST files. This is how they were able to sustainably free themselves from these insecure file formats that, from an IT perspective, were very difficult to manage. One of MailStore Server’s particular strengths is the method of access that it provides, enabling users to search their emails quickly, and conveniently utilize them at any time. The PGA of Australia is also making use of virtually all available options. Users can gain access to the archive through the integration in Outlook, MailStore Client software, MailStore Web Access, as well as on smartphones and tablets via MailStore Mobile Web Access. MailStore Server is undoubtedly cheaper than the cloud offers that we had seen previously or solutions from the Enterprise range. We were previously spending $10,000 a year on the Symantec archiving service, and now we are making the most of the clear savings. We had to set mailbox storage quotas when we were using Exchange Server 2007 in order to keep the constantly increasing data volume under control. This was obviously a disadvantage for users who were forced to actively manage their mailbox. We were able to solve this program effectively thanks to MailStore Server. MailStore Server was implemented very smoothly in this respect. Our users were very satisfied with the new solution from the outset, and they actively use the numerous access options such as the Outlook Add-in for everyday work. The high-performance full-text search was also an important factor in the solution being accepted. The British Professional Footballers Association (PFA) as well as the United States Ski and Snowboard Association (USSA), the US governing body that oversees the Olympic disciplines of skiing and snowboarding, also put their trust in MailStore Server technology. At the USSA, the emails are reliably secured from 150 mailboxes and protected from data loss.